A feature documentary film co-directed with Portuguese film-maker Mário Gomes. 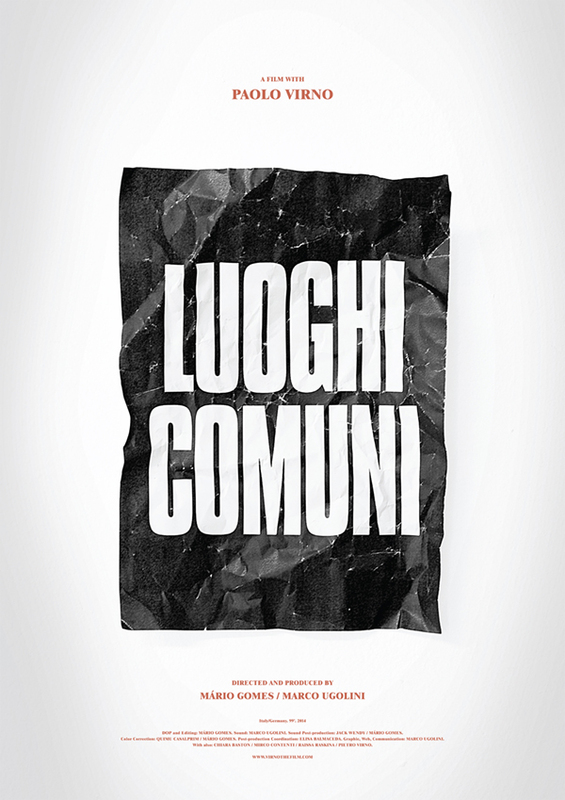 In Luoghi Comuni (Commonplaces), two film makers travel to Rome to meet Paolo Virno, one of the most influential contemporary thinkers, who was imprisoned in the 1970s for being a member of Potere Operaio. Here Virno explains his views on post-Fordism and our society.